A short drive from the Atlantic Coast, and 3 km from Santa Maria da Feira and the Europarque, the Hotel Feira offers spacious accommodation near Porto. 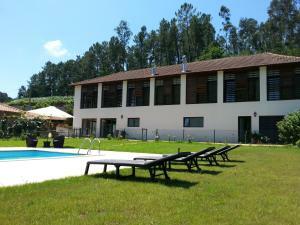 Hotel Feira Pedra Bela has modern rooms with wooden furniture and anti-alergic carpeted floors. 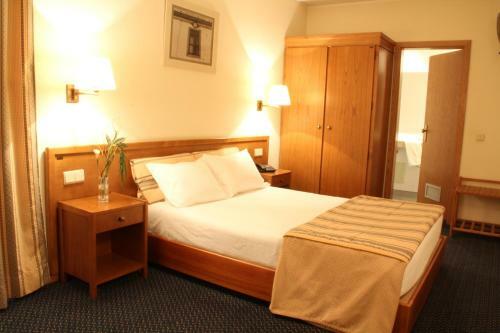 Ever Sao Joao da Madeira Business Hotel price per day from € 89 This modern 4-star hotel offers an indoor pool and air-conditioned rooms with flat-screen TVs. Each is fitted with large windows and contemporary furniture. The beaches in Espinho and Furadouro are also a 30-minute drive away from the Ever Sao Joao da Madeira..
Hotel dos Loios price per day from € 65 Featuring panoramic views of Santa Maria da Feira Castle, this hotel offers air-conditioned rooms with a balcony. A rich breakfast buffet with fresh bread and regional specialities is served daily. 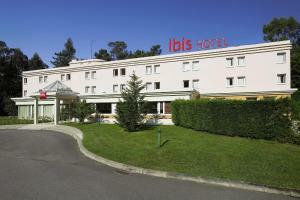 The Europarque Congress Centre is just a 10-minute drive from Hotel Dos Loios..
Hotel ibis Porto Sul Europarque price per day from € 29 With a quiet location in the countryside around Santa Maria da Feira, this Ibis hotel offers an outdoor pool and a sun terrace. 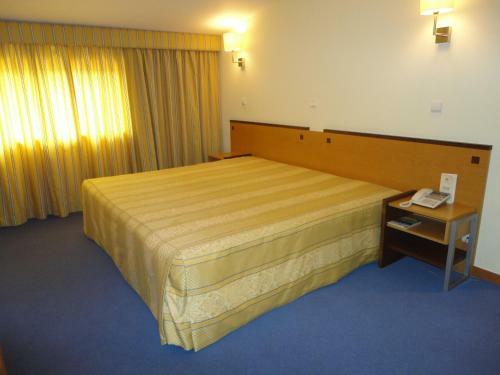 It is located about 500 metres from the Europarque Convention Centre. 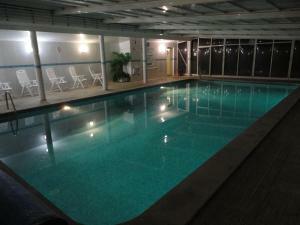 They can relax with a drink, or taste snacks 24 hours a day at the bar. Nova Cruz Hotel price per day from € 38 5 km from Europarque, Novacruz Hotel offers air-conditioned rooms with a flat-screen TV with satellite channels. Every morning, guests can enjoy a local and international buffet breakfast. Novacruz is located just a short drive from attractions such as the Castelo da Feira, the Visionarium, and the Viagem Medieval..
Angellus Hostel Offering private and shared accommodation, Angellus Hostel is located in Caldas de S. All rooms are simply decorated and some have cable TV and a private bathroom. A shared kitchen is available and guests can prepare their meals here. Staff at the reception can organise a shuttle service to Porto International Airport, located within 47 km..
Casa do Castelo Casa do Castelo is located in Castelo, 22 km from Arouca. Featuring a hairdryer, private bathroom also comes with a bidet and free toiletries. 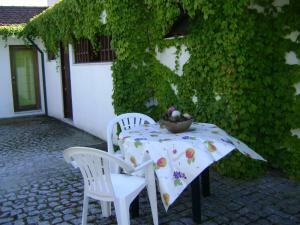 Casa do Engenho price per day from € 30 Offering an outdoor pool and surrounded by gardens, Casa do Engenho is located in Airas. Each soundproofed room includes heating, a wardrobe, a desk and a private bathroom. 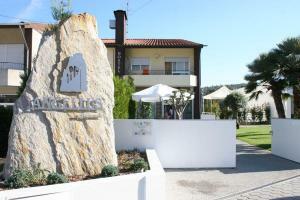 Accommodation near the beach, 1500 square meters, , Espargo, Portugal . Holiday house, 80 square meters . Town of Sao Joao Da Madeira (~6.6 km). 2+ villas/holiday houses ! Town of Espargo (~6.9 km). 4+ villas/holiday houses ! Town of Sandim (~8.4 km). 2+ accommodation units ! Town of Esmoriz (~10 km). 9+ apartments ! Town of Espinho (~12.4 km). 17+ accommodation units !